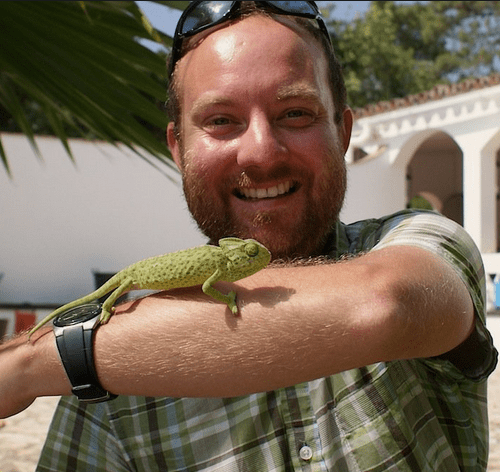 Ed Drewitt is a freelance naturalist and broadcaster, engaging people with the natural world. He has an energetic passion for nature and enjoys communicating enthusiastically to a wide range of audiences. Ed has just finished working as a learning officer for the Bristol Dinosaur Project, enabling others to learn about the City’s very own dinosaur. He continues to work with schools and universities, training others to deliver public engagement and explore the natural world. I am passionate and enthusiastic about engaging people in wildlife, inspiring everyone to go out and be “wowed” by what the natural world has to offer. A zoology graduate from the University of Bristol, Ed has studied peregrines in urban areas for the past 15 years, and has published a book ‘Urban Peregrines’ helping others to spot and learn more about them. He regularly appears on BBC Radio Bristol, reports on natural history related stories for BBC Radio 4, teaches people birdsong, and provides wildlife commentary on boat trips down the Avon Gorge and on the Exe Estuary. Ed also leads groups on wildlife holidays around the world from the Azores to St Lucia.